The average rate of a 30-year-fixed rate mortgage has jumped to 3.94%, up from 3.57% last week. In the past two weeks, the rate has increased 40 basis points. But that’s still pretty low. This time last year, a 30-year mortgage was 3.97%. Treasury notes serve as a benchmark for various types of credit, including mortgages and car loans. The 10-year Treasury note closed at 1.85% on Election Day. A week later, it stood at 2.24%. Higher yields make borrowing more expensive. “There is a flight to safety of assets outside the U.S.,” said Erin Lantz, vice president of mortgages for Zillow Group. 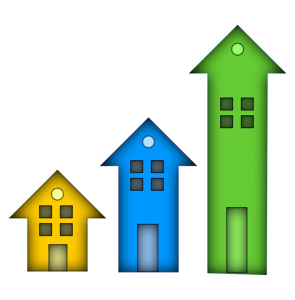 Tight inventory levels have pushed up housing prices in many markets throughout the country. But low interest rates have helped buyers stomach the higher prices. While mortgage rates increased 10%, they are still close to historic lows. But the prospect of higher rates is starting to set in. Mortgage applications dropped 9.2% last week, according to The Mortgage Bankers Association. The Refinance Index took an 11% tumble to the lowest level since March.